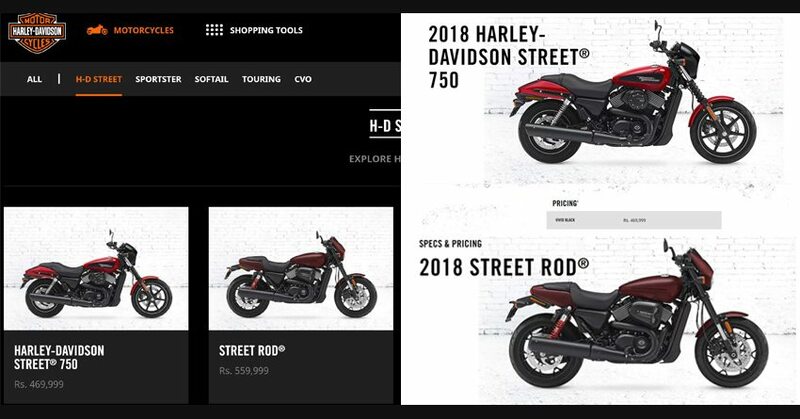 Update (16th Feb, 2018) – Harley-Davidson has updated the website again, the price of Street 750 & Street Rod 750 are now back to INR 5,17,000 and INR 6,08,000 respectively. Yesterday, the prices were INR 4,69,999 and INR 5,59,999. 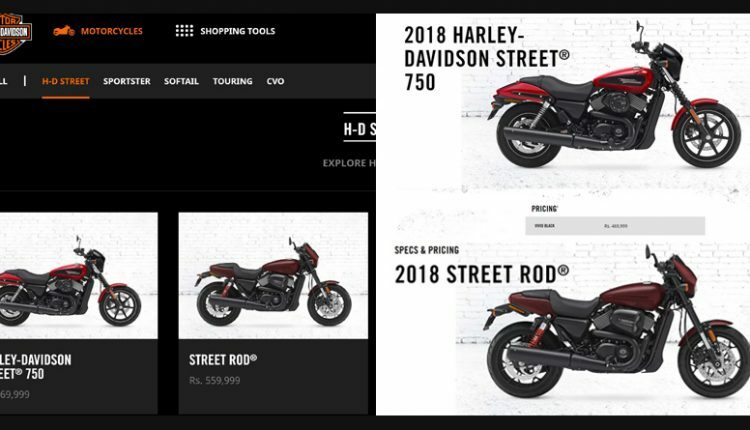 Either it was a technical glitch or Harley-Davidson is still working on the updated prices of the entire range and they will update the website in coming days. We will keep a close check on the official website and update this article with latest prices. Watch this Space! Original Story (15th Feb, 2018) – Harley-Davidson Street 750 Price Dropped in India: Harley-Davidson has offered a price reduction on both of its entry level products in India. 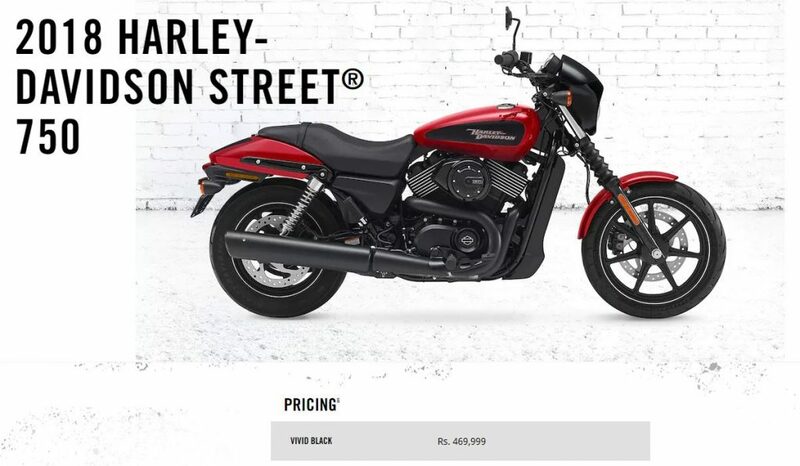 Street series is one among the most selling Harley India products of all time. 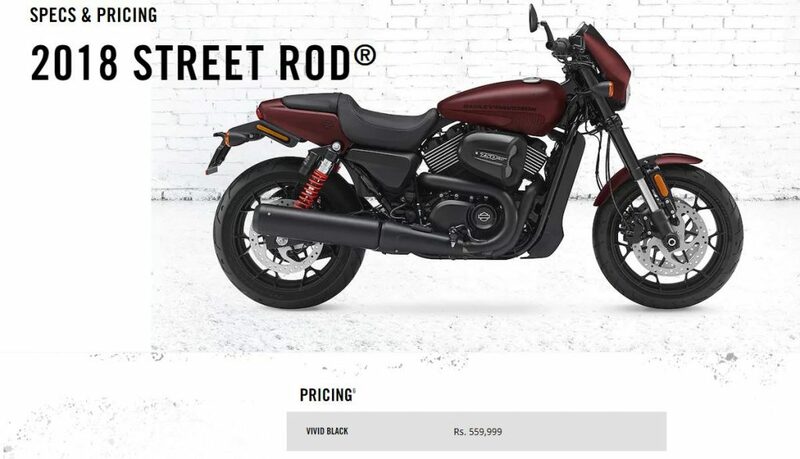 Buyers getting INR 47,001 and INR 48,001 off from Street 750 and Street Rod will be the biggest surprise from American manufacturer to Indian fans this year. This comes after several reports claiming US President Donald Trump’s remark over wrong pricing of HD bikes in India. As government recently reduced taxes over CBUs and these two products are locally manufactured, price drop seems like a result of some other calculation. The entire range is expected to come down in terms of pricing in next few days. Brands are calculating the effect of import duty drop and thus, buyers of big displacement machines will clearly get all the benefits. Harley Davidson has just one factory outside US and that is located in India. The trade benefits of Harley Davidson depends upon the import taxes of every country as they retail CBUs all over the world. The manufacturing unit of India makes three bikes namely Street 500, Street 750 and Street Rod. This new pricing makes Harley Davidson the most exciting big bike brand of India with range starting as low as INR 4,69,999.